Delicious Canned Cooked Ham On A Wooden Board With Spices. Royalty Free Stok Fotoğraf, Resimler, Görseller Ve Stok Fotoğrafçılık. Image 51572902. Stok Fotoğraf - Delicious canned cooked ham on a wooden board with spices. 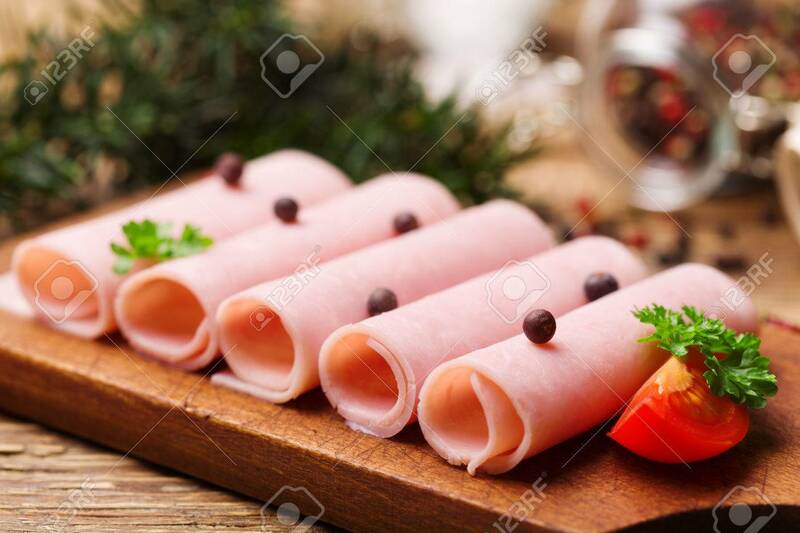 Delicious canned cooked ham on a wooden board with spices.